The power of this sign given by Jesus is difficult to overstate. Even the poor wretch formerly afflicted with blindness can see that the facts speak for themselves: one who heals is the Messiah (Jn 9, 17). Isaiah’s vision is fulfilled with devastating clarity, “Hear and hear again, but do not understand; see and see again, but do not perceive. Make the heart of this people gross, its ears dull; shut its eyes, so that it will not see with its eyes, hear with its ears, understand with its heart, and be converted and healed” (Is 6, 9-10). Jesus is the new Isaiah, who brings healing and clarity of vision in his wake. Blindness is not the problem: obstinacy in the face of known facts is. As Jesus observes about the Pharisees, “Blind? If you were you would not be guilty, but since you say, “We see”, your guilt remains” (Jn 9, 41). Seeing the signs is the essence of Our Lord’s thirst for souls. Seeing leads to believing, believing in turn leads to life – that is, a share in the very life that the Father has in the Son and the Son has in the Father. shows the error of this caricature – is not Lazarus raised up then and there for all to see? The life of grace in Jesus Christ starts right now. In the power of the Holy Spirit, the Church proclaims the same reality, who raised up Lazarus from the tomb, to each and every one of us through the sacramental life of grace. We need open hearts. “And when he entered Jerusalem , the whole city was in turmoil. ‘Who is this?’ people asked, and the crowds answered, ‘This is the prophet Jesus from Nazareth in Galilee ’” (Mt 21, 10-11). Jesus is the Prince of Peace, who enters into his inheritance not as a proud and warlike warrior, but rather as one who comes to suffer and die for his people. There is no pretension about the coming of the Messiah into his own, but there is acknowledgment and joy. His lowliness is emphasized by his title, ‘Jesus of Nazareth’, since Nazareth had no claim to fame. ‘Hosanna’ is a word of Hebrew origin, and though here it is no more than a shout of acclaim, its first meaning is ‘Pray, save’. Underneath the popular usage, it is a shout entirely appropriate for the coming of the Messiah. There is irony in Matthew’s account of the triumphal entry into Jerusalem , because the unintended demand the people make of Christ is precisely what he will do through his Passion, cross and resurrection after he enters the holy city. There is never any doubt as to the identity of Jesus as Lord in Matthew’s gospel. Here he proves it. “Blessings on him who comes in the name of the Lord!” (Mt 21, 9). We join the crowds on the road into Jerusalem as Jesus passes every time we proclaim the ‘Benedictus’ at Mass. Do we, like them, then turn on Our Lord and crucify him? After we leave Sunday Mass, is Jesus really crowned king of our hearts, or do we show that our religion is just lip service as our behaviour and charity throughout the week falls far sort of the demands of gospel loving? Jesus’ path led up to Calvary – do we ever follow him? Earthquakes witness to the presence of the divine in Matthew’s gospel. They accompany a theophany, where God reveals his presence unmistakably to those whom he has chosen. For others, an experience of the holiness of God is one of unmitigated terror. God is sovereign and separate – beyond human categories and experience. Thus, for the soldiers by the tomb, the descent of the angel is a near-death experience (Mt 28, 4), whilst for the women it is one that needs the reassuring hand of God: “There is no need for you to be afraid” (Mt 28, 5). The initiative is with God. The resurrection is the central fact of human history. If all of creation builds up to the creation of man, then all of human history builds up to the coming of God made man. And the coming of Emmanuel both saves and redeems mankind through his life, death and resurrection. The physical resurrection of Jesus is the rallying cry of every Christian, because in it human nature is seen to triumph over the scourges of sin and death. Because Jesus is human, what he does for us has an eternal relevance since he is flesh and blood like us. Because Jesus is divine, what he does in our human nature has power to transform us after his own model. There is no longer any need to be afraid (Mt 28, 5). We have a God who loves us so much that he will save us from our sins and the sentence of death, and he will do it from ‘within’ – that is, respecting our humanity and human ways of doing things. He could have cured us from ‘without’, but his love and respect for us was so great that he chose to do this work from ‘within’. The gift that the risen Lord Jesus bequeaths his disciples is peace (Jn 19,20), and its effect joy (Jn 19, 21). Just as there is no explicit mention of the Eucharist in John’s gospel, even though the whole tone of Jesus’ teaching is highly Eucharistic (cf. Jn 6, 35ff), so there is no mention of the word ‘apostle’, although the commission given the disciples is utterly apostolic (Jn 19, 21). The word means ‘one sent out’ and is a translation of the commission that Jesus gives his disciples (Jn 19, 21), though the evangelist never actually uses the title. John shows the heart and soul behind Jesus’ ‘mandatum’ by focusing on the gift of the Holy Spirit to the disciples for the forgiveness of sins (Jn 19, 22-23). The evangelist does not emphasize the ‘going out’ of Peter and the rest of his companions, but rather whose power it is that is operating within them – that of the Spirit of Truth (cf. Jn 15, 26). The enterprise of world evangelisation is the work of God. It is from above, not from below, and its guarantee is the charism of the Paraclete poured out on the fledgling Church.
. 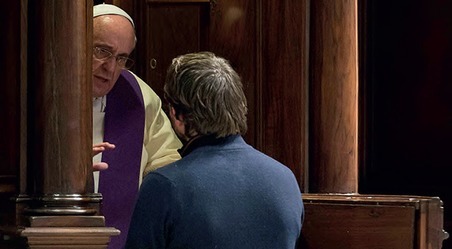 In this, and in his subsequent humble submission to his Lord and God (Jn 19, 28), he becomes a model of humility and resignation to God in time of difficulty and doubt. In God, even our weaknesses become our strengths. free” (Lk 24, 21). The pluperfect in Luke’s account expresses an action begun and ended in the past. So the hope in Jesus that had begun during his three years’ Public Ministry was now ended in the tragedy of the crucifixion. No verb more clearly expresses the despair of Jesus’ followers than the ‘had been’ of this verse. Carravaggio expresses this brilliantly in his painting of this scene, where the torn and tattered clothes of the disciples mirror their torn and tattered hope in Jesus. The same picture by Carravaggio shows the new radiant humanity of the risen Lord. Beauty and light emanate from him as he breaks the Eucharistic bread for the disciples. There is a serenity about his expression, which shows the peace and joy of one who has completed the work that the Father gave him to do. Luke is keen to emphasise that Jesus “vanishes from their sight” ( Lk 24, 31), though his real presence remains in the Eucharistic species. In the strength of this heavenly food, the disciples take the road back to Jerusalem full of resurrection joy. Divine Mercy follows quickly on from the joy of hope fulfilled in Jesus. None of the disciples and none of us merit the forgiveness and love that Jesus’ victory obtains for us. There is no human deserving here, but only a divine loving that stoops down to our depths and raises us to an eternal happiness. But Jesus will not force this mercy on us. We are free, and we must ask for and invoke this divine mercy frequently in our lives. Renewal is there for the asking, but only for those who put themselves in its path. “Jesus told them this parable but they failed to understand what he meant by telling it to them” (Jn 10, 6). This remark refers to the Pharisees, whom Our Lord has just shown to be so wilfully blind (Jn 9, 40) that they do not understand the parable. They are the others who have come before Jesus and are “thieves and brigands” (Jn 10, 8). The flock take no notice of the Pharisees, but they do listen to the Master because they know his voice (Jn 10, 4). Jesus is the only legitimate leader of the flock (Jn 10, 7). But Our Lord’s words are not just about leadership, but also about quality of leadership. He is the good shepherd, who calls his sheep by name and leads them confidently to sustaining pastures (Jn 10, 3ff). Jesus has the care of souls at heart, thirsting for their eternal salvation and loving them individually to the shedding of his blood. He is no stranger or hired hand, but the one who has crafted us in the image of God and seeks earnestly to restore that likeness to God in his fallen creature. True shepherding requires love that leads to the Calvary. Vocations to the priesthood are all about imitating the Good Shepherd in his personal task of loving and sustaining his sheep. It is Christ’s work, and his alone, because he alone has rights over the flock created by his own hand. Priestly character ensures that the man ordained is conformed in his very being to Christ the Good Shepherd. Therefore it is the Lord Jesus himself who forgives sins or convects the sacrament during Holy Mass. This priestly conformity allows the priest to say, “I absolve” or “This is my body”, but it is Jesus who acts through him. 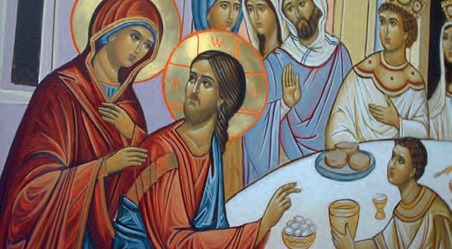 The Farewell Discourses in the Fourth Gospel ( Jn 14-17) are to reassure the disciples before Our Lord’s bitter Passion, and to teach them at length about the fullness of God’s abundant provision for them. The disciples are distraught at Jesus’ talk of leaving them (Jn 14, 5), and must be brought to understand by their Master the richness and joy of the Father’s care for them in the sending of the Holy Spirit. These words are the swansong of the Messiah, and reveal the glory of Jesus’ love for the Father, in which all are invited to live (Jn 14, 2). John’s gospel gives us an insight into the heart of the godhead. Jesus comes to reveal the Father to us, and to complete the work that the Father has given him to do. It is hard for the disciples to believe, but Our Lord ceaselessly encourages them to believe “on the evidence of this work, if for no other reason” ( Jn 14, 11). The works he has performed are the signs whereby he has let his glory be seen (cf. Jn 2, 11). His divinity must be acknowledged if his life is to find a home in us. Jesus Christ is the “Way, the Truth and the Life” (Jn 14, 6), not a way, a truth, a life. It is all too easy to relativize the impact of Jesus in a secular culture, where the self has gone mad. The notion that having a faith is alright for you, if you’re a sad person, is all too prevalent in our secularised Catholic schools. If Jesus is taught as one among many, then authentic apostolic Christianity is not taught at all. The splendour of his divinity is not so politely ignored, and our humanity suffers as a result.